All of us are producers and consumers of data. We ingest data, analyze and interpret it, apply our business savvy to make it more useful, and then deliver it to the next person. An administrator prepares and makes data accessible to others. Data security requires that you protect sensitive information, sharing what is necessary without exposing too much. Protecting source data, preventing version errors, and maintaining integrity also are central to this role. A writer has the authority to reformat, change, and interpret data. In practice, since source data is rarely changed, the writer may create an intermediate copy or version to work from. This will be the basis of analysis, dashboards, reports, text, or presentations. An explorer looks at the data or many different data sets to create insights and connect different dots. An editor scrutinizes the information and tries to poke holes in the data or draw inferences to test its veracity. This is a key data validation step, and you may want to have a peer review your draft before taking it to the editor. A viewer, often a senior person, is on the far end of the data (or related information) and is going to take action based on it. Slowing down is hard to do, but getting to know your data is like building a solid foundation for your house: Everything else rests upon it. If the data is going to be recurring, know (and verify) the common dimensions to ensure integrity and your understanding, such as level of aggregation/atomization, date and time, frequency of collection, unit, business unit level, etc. Recognize that data systems are often split into systems of record and systems of analysis. Is something lost in translation from one to another? Are your colleagues using different data than you are? With so much data out there, the human mind creates rubrics to simplify and understand the world, and we do not look at the data objectively. There are a host of examples; we often suffer from a confirmation bias of seeking data that supports our existing ideas, a recency bias of overweighting recent experience, or any of several other cognitive biases. When rolling out new data tools, focus on the decisions they will support and not simply the mechanical workings of the tool. One challenge of data is that it can become a goal by itself—the perfected data set, the pretty chart, the purified chart. However, the world is messy, and it moves fast. Think of a cost-benefit analysis: What is the additional cost in time and resources, and what is the expected value? The goal of data is information that will inform actions. In our roles as consumers of data, what is an informed skeptic? To paraphrase journalist Miles Kington, data tells you that tomato is a fruit; judgment will tell you not to put it in a fruit salad. May the fruit of your (data) labors taste sweet! Looking for more insight into the FP&A profession? Subscribe to FP&A in Focus, the monthly newsletter 28,000 professionals turn to. As Amazon Business continues to expand across the European B2B market, it is imperative that wholesale distribution and manufacturing companies create a strategic plan for survival in this new age of Amazon. Amazon Business has been on the scene since 2015, and it seems distributors are now starting to take notice of its impact on the B2B market. A recent report conducted by Unilog, surveying 250 manufacturers, wholesalers and distributors, found that Amazon Business was considered the number one threat to their businesses today. And yet, 52 percent still have no strategic plan for competing with Amazon Business. This may be in part due to the platform’s infancy. Despite its rapid growth, Amazon Business has only been in action for four years; it is possible executives are still adopting a ‘wait and see’ approach, monitoring its development before making a plan. But, if Amazon’s history of dominating markets is anything to go by, there is no time to sit back and observe. The time to act is now. To aid development of your strategic approach to surviving the Amazon effect, here are the top six strategic options we believe you should be considering. The nature of the Amazon Business platform means it’s not a single company, but instead the lead partner in an alliance of thousands of suppliers. Amazon Business is the facilitator, bringing together specialist suppliers across multiple industries and enabling products to be sold via one single platform, creating ease and convenience for the B2B buyer. In order to deliver a similar experience, competing distributors who do not have the desire to join the Amazon Business platform may want to consider forming alliances of their own in order to create a stronger competitive edge. For example, collaborating with leading software companies could enable distributors to provide superior online capabilities—delivering an Amazon-like customer experience directly, without partnering with Amazon. Understanding the level of threat Amazon Business has over your organisation is a fundamental step in building your competitive strategy. Identifying your niche and existing unique competitive advantage is an essential first step, and should form the foundation of your strategy. Understanding your exposure to Amazon Business will enable you to identify the key areas you can build upon to secure your place in the market against this latest wave of disruption. As an example, obtaining exclusivity of distribution rights for certain brands that do not sell via the Amazon platform will strengthen your place in the market. Alternatively, you may consider creating value add by introducing a services arm to your business, with on-the-ground sales representatives that maintain a personal relationship with customers, to develop trust and loyalty. Amazon’s business model is centred around its customer and their needs. One of the fundamental requirements for any manufacturer or wholesale distributor hoping to compete in the Amazon era is visibility into the customer base and customer behaviours. In order to deliver the same level of targeted, personalised, customer experience Amazon can offer, you must be able to see how your customers are buying, when they are buying, what they are buying and other key characteristics of your customer behaviour that will support effective business development and decision making. Understanding your customer is the key to delivering exactly what they expect. Knowing your customer in depth requires both regular customer interaction and feedback sessions, as well as a solid technology foundation that accurately monitors your customer behaviours and provide real-time, up-to-date, accurate data across all key channels. This will allow you to combine this key data, effectively analyse the data and create actionable plans to improve customer satisfaction within a timely manner. As highlighted in another post on whether Amazon is a threat or an opportunity, the need for digitalisation within manufacturing and distribution is more vital than ever. For distributors not yet operating online, Amazon is a significant threat, as it brings a convenience and ease to your customers that you are not currently offering. Strong digital capabilities are essential today, whether you decide to work with Amazon Business or build upon your own business capabilities in order to compete. This isn’t just about front-facing customer technology and ecommerce – it’s also about state-of-the-art warehouse management and inventory management, sales order management, customer relationship management, product data and online marketing tools. All of these tools are essential to building out your digital presence and being equipped to deliver the same level of customer experience your customers will receive if they shop via Amazon Business. Whilst digitalising your business operations is an advantage to competing in the Amazon era, and will enable you to deliver the same level of customer experience, it does not necessarily mean you need to abandon your traditional methods. It is not a case of replacing sales reps with online tools, but instead understanding the best mix for your business. You need to identify the value your customers see in the services you are offering, and whether they are they willing to pay for them. Do they leverage the benefits of over-the-counter or telephone services, or are they more driven toward online interactions? Understanding these elements of your customer needs will allow you to adjust your business model and invest in the right channels, based on previous customer engagements. With both a services and a product side to the business, operating all departments from a single-source of data is essential to functioning in a seamless and efficient manner, and delivering a consistent sales experience from all channels. But before you invest in online capabilities and additional on-the-ground sales staff, you should first quantify the value your customer is seeing in these capabilities and determine your ideal mix based on customer behaviour and customer demand. The secret to incorporating all of these key strategic areas is integrated technology. To deliver that seamless experience, to expand your business model, to introduce data analysis to your business requires tight integrations between all of your systems, across all channels, both in the front and back end. For any manufacturers and distributors that think they may be at risk of losing their customers to the Amazon Business platform, the secret to surviving in the Amazon era is a centralised system with robust, accurate, real-time data to form the core of their business operations. This in turn will enable you to introduce other software advances that will further aid your innovation, such as the Internet of Things and Artificial Intelligence. It’s this single source of the truth that will power a seamless experience, and allow you to increase your average order value with personalised promotions, and build your customer satisfaction and customer loyalty through trustworthy service delivery, superior product offerings, and quick and easy delivery. Above all else, you should start to plan your strategic approach as soon as possible. If there is even a slight possibility that Amazon’s move into B2B may impact your business, and there is a risk of your customers migrating, you must be prepared to protect your revenues. For a deeper look into these potential strategic options and how you can build your competitive strategy in the Amazon era, download our guide Amazon Business: The Challenge Facing Wholesale Distributors and Manufacturers. 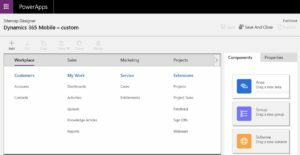 For each Dynamics 365 app, a sitemap controls which entities and other items are displayed to end users. A new designer is now available creating a better experience with new controls to precisely manage the layout of these items. Each Dynamics environment comes with a default site map. 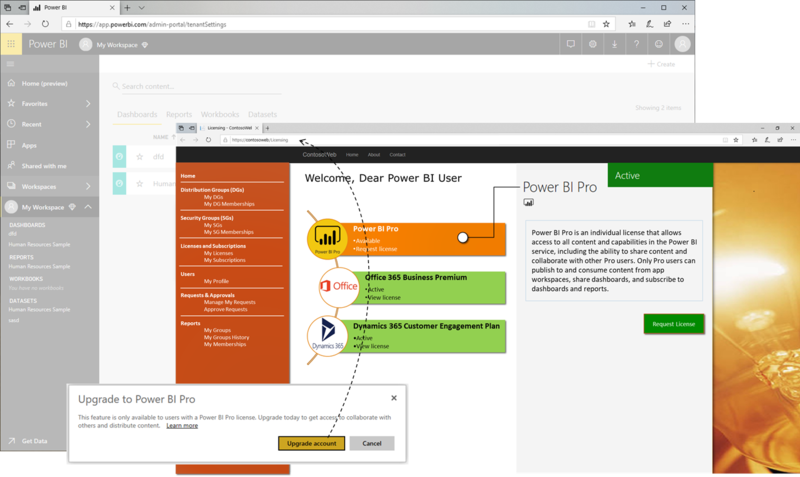 To customise this, a new sitemap designer is managed in PowerApps Site Designer with drag and drop controls to easily change the layout. Clicking the properties tab from any item that has been dropped onto the designer canvas enables customizations to be applied. 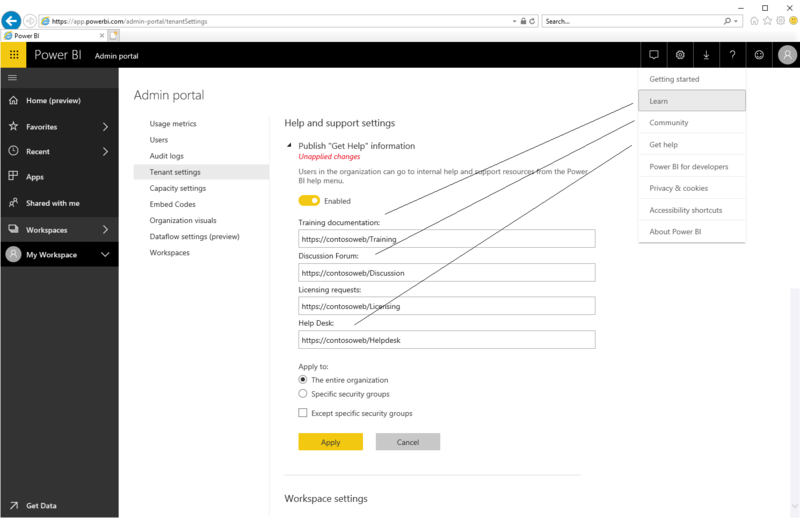 For example, for an area apply an icon that will appear while subareas can be configured to reference an entity, URL, dashboard or web resource. Find out more about the new sitemap designer and how this provides admins with greater flexibility to streamline and declutter sitemaps in comparison to the legacy XRM Tool Box editor. Preact is a UK based Microsoft Gold Partner implementing and supporting customer engagement solutions for SME’s since 1993. Check our blog for more information about Microsoft Dynamics 365 and CRM. We’ve interviewed dozens of Act-On customers at credit unions, insurance firms, advertising agencies, accounting firms, SaaS startups, sports leagues, and even a coffee distributor — and they all love being able to segment their audiences and then send targeted emails to those lists via automated programs. According to the 2018 B2B Lead Gen Outlook, engaging prospects and getting them to convert remains one of the biggest challenges for marketers, especially because half of your leads are not ready to buy upon becoming a lead. Meanwhile, the average sales cycle has increased 22 percent over the past five years, according to Sirius Decisions, as more stakeholders are becoming involved in the buying process. Further, marketers are facing new challenges with the development of more sophisticated email inboxes and increased competition for your audience’s attention. All of these challenges and obstacles combine to create the perfect storm. Luckily, we brought our umbrella — lead nurturing through marketing segmentation and automation! Creating a segmented automated lead nurture program outperforms the “batch and blast” email that many B2B businesses use when sending generic messaging to their master list. We interviewed Marc Wilensky, vice president of communications and brand marketing at Tower Federal Credit Union, on the Rethink Marketing podcast, and he spoke about their success using Act-On to launch several automated nurture email campaigns. “And what was amazing to us was the open rates — the first emails we got our typical open rates, which were in the high 20s. But the follow-up emails, which were really targeted to people that we’ve identified were in the market to buy a car, those open rates we saw were more than 50 percent,” Marc said. “I’ve been doing email marketing for 17 years, and I’ve never seen open rates of anything that large a group that exceeded 50 percent. Lead nurturing is a marketing activity that moves undecided prospects along an educational path through the buyer journey. Over time, as people respond, you can learn more about their needs and interest to refine your targeting, which will provide increasingly relevant information to make prospects ready for contact from sales. Lead nurturing creates a cadence of contact with your prospects and keeps the lines of communication open so you’re top of mind as they get closer to purchasing. What Are Automated Email Nurture Programs? Theoretically, lead nurture programs can be developed one email at a time, and that may work for some businesses just getting started. But how do you scale to hundreds, thousands, or millions of customers? Squeezing all your talking points into one email is going to create information overload that your audience won’t be able to digest. An automated program automates the process of sending a series of emails to a targeted group based on criteria you establish. Once created and launched, you should continue to optimize your automated programs to test subject lines, copy, visuals, CTAs, and so forth. At Act-On, we meet weekly with our content, demand gen, and marketing operations teams to discuss ways we can improve the performance of our automated programs. Building successful automated programs takes hard work. Depending on the size of your shop, you’ll need to involve sales, demand generation, content marketing, graphic design, and marketing operations from the get-go. You’ll also need to understand your target audience, what their ideal buyer journey includes, and which content assets best match their wants and needs. Segmentation your automated email program to target numerous audience groups is a great way to personalize your emails and send relevant messaging to prospective buyers. According to Econsultancy, 74 percent of marketers say targeted personalization increases customer engagement. And according to Aberdeen, personalized email messages improve click-through rates by an average of 14 percent and conversions by 10 percent. You can set up lead nurturing at each stage of the sales funnel and segment your campaigns based on target industries and the different stakeholders within each prospective organization. You can segment just about any data set, including geography, role, stage in the buying cycle, business size, and more. 1. Engagement: Using lead scoring rules, organizations can define the top, middle, and bottom of their marketing funnel, as well as the marketing qualified lead (MQL) criteria that triggers a hand-off to sales. 2. Customer Status: You know who your customers are, so make sure that data gets into Act-On! 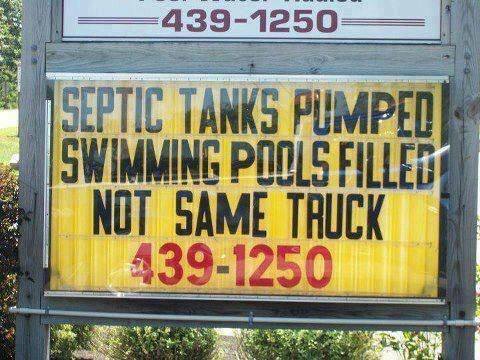 Segmenting customers from prospects is vital to preventing message confusion. 4. Industry: Tailoring your messaging with industry terms and relevant content can be a huge competitive differentiator. We recommend that organizations define the industries that they sell to and customize the messaging and content for them. Often this is as simple as changing simple nouns. For instance; (depending on the industry) prospect = donor = patient. 5. Product or Interest: This type of segmentation is based on tracked behaviors. These segments can be used to trigger specific email nurture programs or to exit people from programs they are currently enrolled in. 6. Geography: Timing your messaging and content distribution based on cultural norms and specific time zones is a great way to dramatically increase your campaign efficacy. Act-On has one of the most sophisticated segmentation engines available on the market today. Our platform allows you to create dynamic segments based on profile (intrinsic) and behavioral (extrinsic) attributes that automatically refresh on any system engagement. Each prospect’s or customer’s online actions automagically sorts them into the right segmented automated program based on the pages they visit, forms they complete, and the links they click. And those APs would be different based on their role, their location, and so forth. If you’re not an Act-On customer, you can check to see if your platform creates audience segments based on criteria such as demographics, firmographics, psychographics, and behaviors. Before you begin to personalize your marketing efforts through segmentation, you need the data to customize your campaigns. Check with your ops or CRM teams to learn which data fields you can use. If your existing marketing technology is tracking website engagement, you can tap into that as well. Workflows are the automated programs you create for each audience. Most successful organizations should have campaigns for cold leads, prospect nurturing, and existing customers. As you create your workflow, you should consider which questions each segmented audience will have for this workflow and the goals you want them to achieve. In simple terms, you will send your audience a series of emails and the messaging will change based on their engagement. The number of emails assigned to each workflow depends on the audience and their needs. Think of a workflow as a funnel within the funnel. You are giving your audience a focused, guided series of related messages about a specific topic. So, for instance, if a customer downloads an eBook on lead nurturing, you could place them in a four-email automated program educating them about related topics. It’s crucial that the content of your segmented automated programs speaks directly to your various audience segments in the language they use and covers the issues and questions they care about. You should regularly revisit your automated programs to tweak the content as needed to improve engagement. As you better understand your audience, you can map out the questions they’ll be asking on their buying journey and match the content to that in your AP workflows. Put Your Plan in Action! Now that you better understand the benefits of segmented automated programs, it’s time to create your own. And don’t stop at one. Create campaigns for prospects at each stage of the funnel; create them for prospects currently using your competitor products; create them for the different buyers you’ll engage with at each company from decision maker to user. Utilize any number of segmenting strategies as long as they make good sense for your business from an engagement and communications standpoint. And, as always, if you have any questions about lead nurturing, segmentation, or marketing automation in general, Act-On is here to help, so please don’t hesitate to reach out. Where urban transportation is concerned, the world’s becoming increasingly multimodal. People don’t strictly stick to public buses and taxicabs any longer, if they ever did to begin with — according to a 2013 study by the American Public Transportation Association (APTA), nearly 70 percent of millennials use a combination of car-sharing, bike-sharing, walking, subways, and light rail to get from place to place. The diversity in transit is forcing cities to adapt their infrastructure, and over 300 have tapped San Francisco startup Remix‘s cloud-based platform to help inform their decisions. To further build out said platform and bring on new government partners, Remix has raised $ 15 million in series B financing led by Energy Impact Partners, it revealed today. That follows on the heels of a $ 10 million series A in May 2017, bringing the company’s total venture capital raised to $ 27 million. Remix’s solution provides transportation agencies with a wealth of data both public and proprietary — including stats on collisions, curb and street density, demographics, ridership, and employment — and a drag-and-drop, cross-sectional interface planners can use to explore routes that comply with local policy requirements. It calculates the buildout costs of those routes automatically, and identifies which residential and commercial pockets they would (or wouldn’t) favor in the long run. Moreover, it exposes both historical and real-time trends, like how many scooters are on the street at any given time and the ways in which new mobility is affecting first- and last-mile community connections. Auckland, New Zeland’s department of transportation says Remix’s dashboard reduced planning time by 92 percent during a recent transport network redesign, and King County Metro claims it shaved over a year off of its 2040 transit plan. If yours is a professional services firm, it’s understood that a profitable bottom line is one of your chief business goals. But before you get to that point, an immediate goal is finding and maintaining clients. Your sales team must constantly give attention to your sales pipeline and to completing projects efficiently, professionally, and on time. Keep up with each project’s resource requirements. Have performance data always available and up-to-the-moment fresh and reliable. With Microsoft Dynamics 365’s Key Performance Indicators (KPIs) and dashboards, management will have instant views into the performance of each project and the company as a whole, without sifting through endless detailed reports. This allows for quick decisions. If a project or department is having trouble, decisions can be made quickly, and adjustments can be implemented. These days, social activity information is important and may impact your business. You need to know what your clients and your competitors are doing and what they are saying about your organization. With Microsoft Dynamics 365/CRM, activity on Facebook, twitter, or other social media can be directly delivered into a Dynamics 365 social feed. This feature will be valuable for enhancing talent searches, collaborating and communicating with your clients, keeping ahead of the competition, accelerating sales cycles, and improving project delivery. Mobile technology has also become a game-changer. Microsoft Dynamics 365/CRM offers improved productivity and drives project success through mobile apps. Your sales and services teams in the field can access client information from anywhere at any time. This leads to more efficient projects, keeping your clients happy and your bottom line healthy. If you’d like to learn about other ways Microsoft Dynamics 365/CRM can help your project-based business be more productive, collaborative, and successful, contact our CRM experts at BroadPoint today. 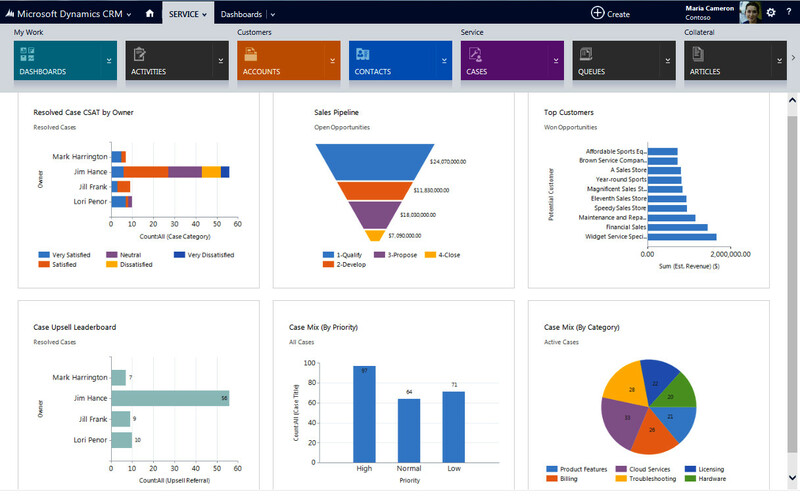 By BroadPoint – Learn more about BroadPoint’s Dynamics 365 CRM consulting services.